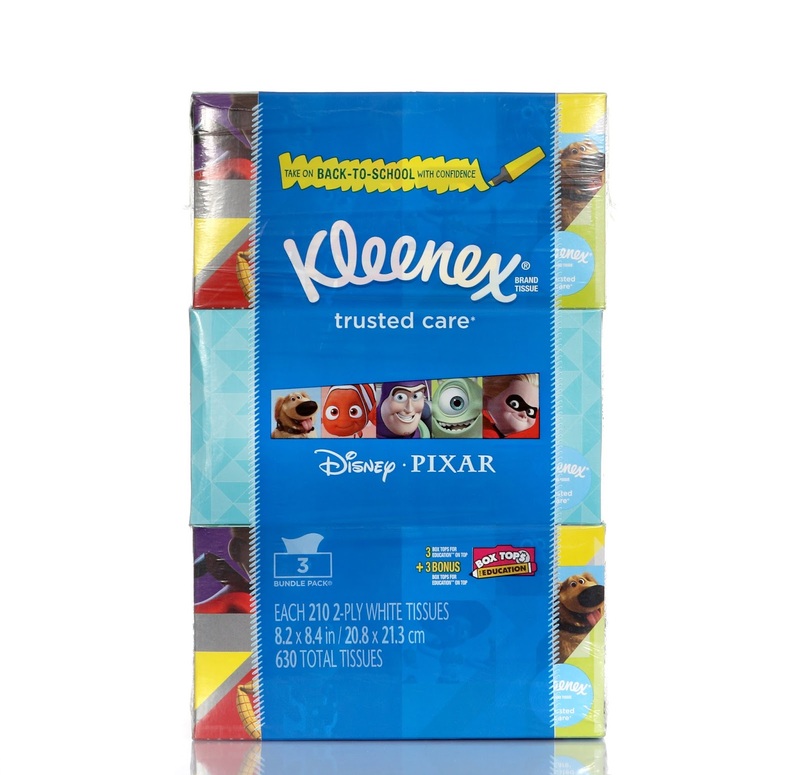 Dan the Pixar Fan: Fun Disney·Pixar Kleenex– Now Available! 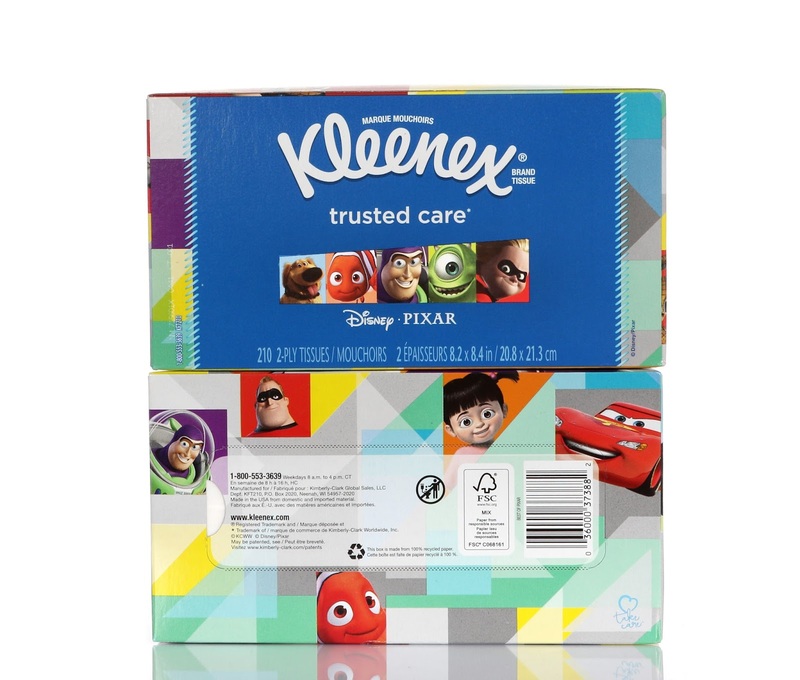 As part of their "Back to School" collection, Kleenex Brand has just released this super fun and colorful 3-Pack featuring Disney·Pixar inspired tissue boxes! Even though I don't currently have a cold (knock on wood), I couldn't help but snag these when I saw them at Walmart last week. Unfortunately, I'm sure they'll come in handy one of these days! Until then, I'll just appreciate these neat designs and not being sick. I'm a sucker for any product with Pixar characters grouped together like this. I like how many of my all time top favorite Pixar films (Toy Story, Monsters Inc., Finding Nemo, The Incredibles, Cars, Monsters University and Up) are represented! 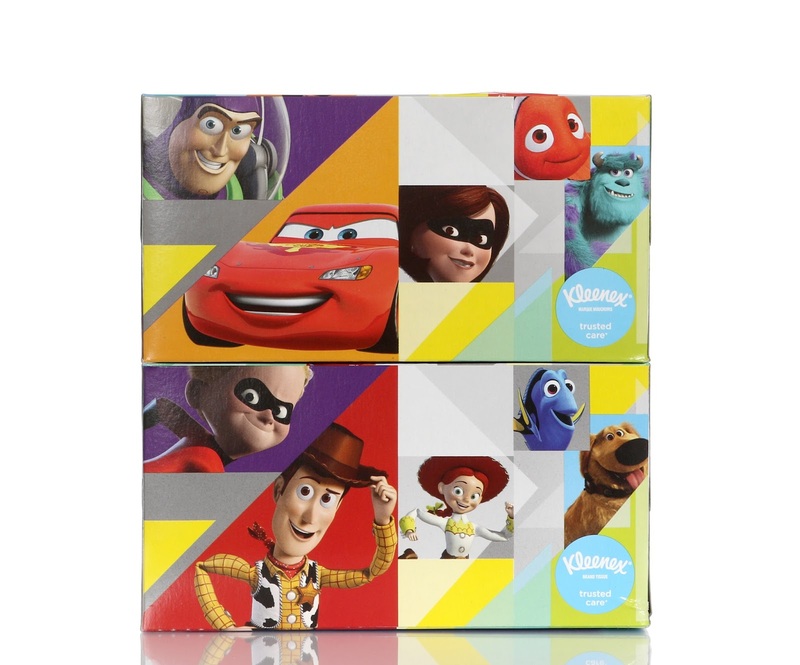 Inside this 3-pack you'll find one standard box of Kleenex and two Pixar boxes (both Pixar boxes are exactly the same —no variations). 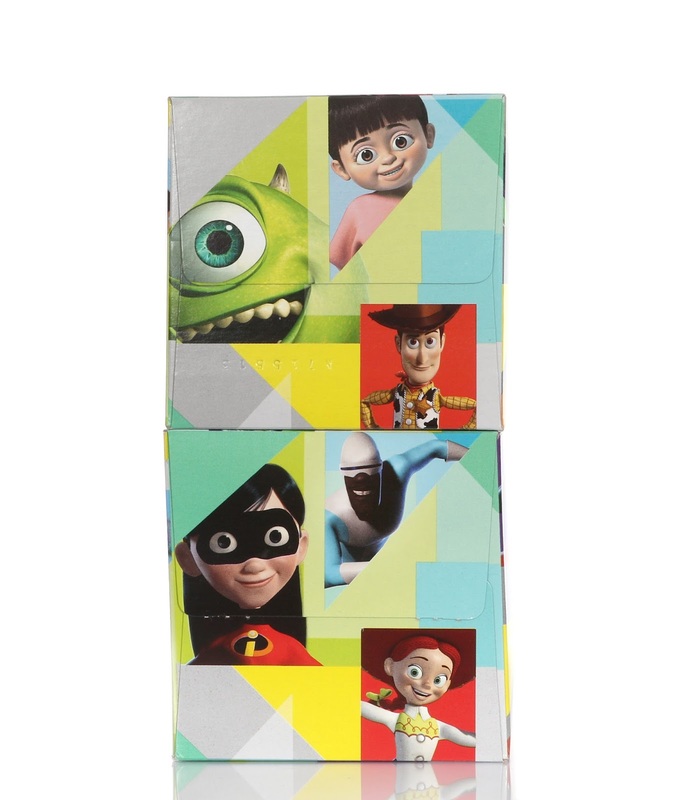 It's a tiny bit of a bummer I had to get so many boxes just to get this Pixar box design (I didn't see it sold individually), but hey, the pack was only around $5. Consider us stocked up on tissues for a while though! Head to your local Walmart (or possibly Target?) to pick these up today! 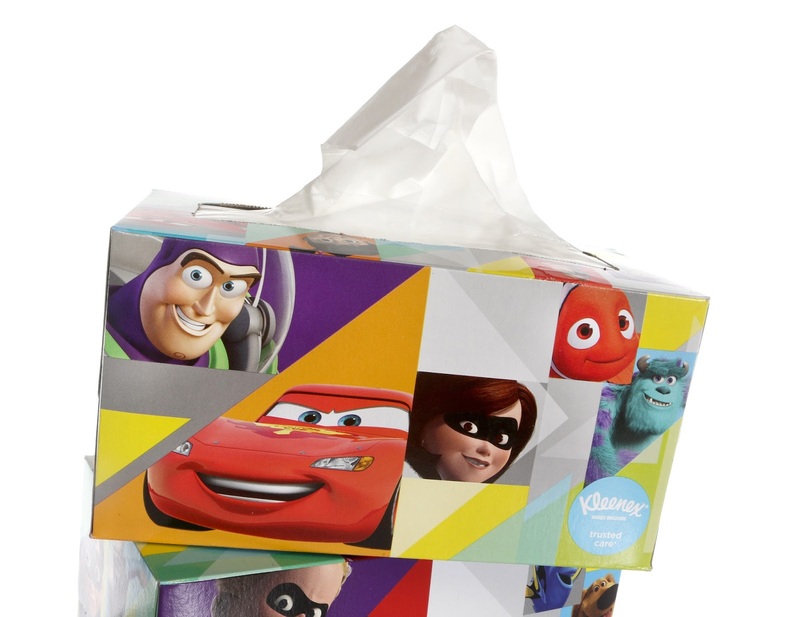 Also be sure to check out my review of the Cars 3 Kleenex (which I looked at back in May) and let me know what you think in the comment section below.